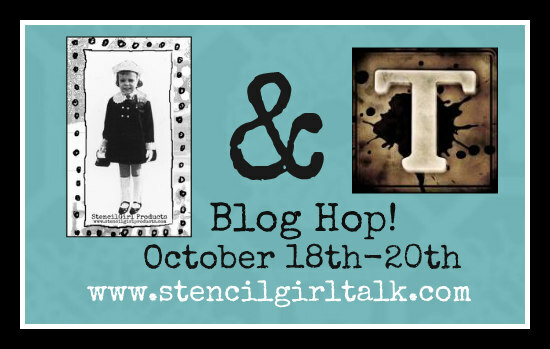 StencilGirl Talk: StencilGirl & Tim Holtz Ranger Blog Hop - Day 1! 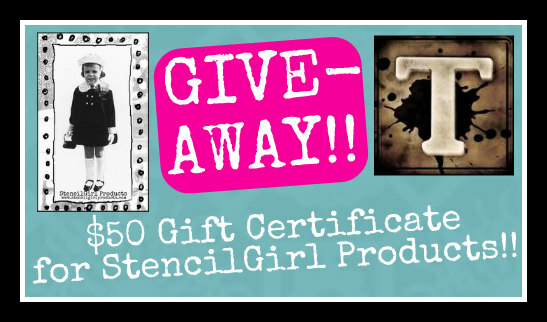 StencilGirl & Tim Holtz Ranger Blog Hop - Day 1! Welcome to Day One of a very special blog hop! We are so happy that Mary Beth Shaw is hopping along with us today! Check out her video sharing techniques with StencilGirl stencils, and her favorite Tim Holtz product...Distress Crayons! using StencilGirl stencils and Tim Holtz’s Adirondack Alcohol Inks! 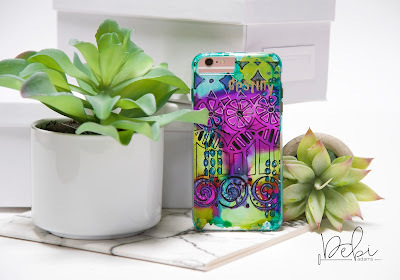 Destiny called Debi Adams to make this awesome cell phone case! We love Cindy Gilstrap's vivid floral painting on canvas! See Cindy's video of her alcohol ink techniques here! Carol Baxter has created delightful collages! See her creations on her blog post here! Sandee Setliff has made a plethora of fun prints! Watch her colorful process here! StencilGirl's Facebook page on Wednesday, October 25th. Tim Holtz’s Distress Oxide Ink Pads! Thanks so much for hopping with us!! MaryBeth, Your video is sooo timely. I was just telling my printmaking class about Distress Crayons last night. I love all the effects that you can get with them. I'll be sharing this post with them. Thanks - perfect timing! WoW and WOW! Great start to the hop! These pieces from everyone are beautiful! Off to learn more! Thanks so much for the inspiration! Another great match up! Such wonderful projects and inspiration! I know I will always learn something new on these hops!!! Glad you enjoyed it Jean! Thanks so much for your sweet comment. Keep watching for the next few days! So much creativity! These stencils are so awesomely pretty, the artwork everyone makes with them is just magical. Isn't it cool to see how everyone interprets products differently? Love it. We agree the stencils are pretty amazing! Alwyas looking for innovation and you've got it! Isn't it the best Deb? It's so much fun to play! me to a new form of coloring. Loved the projects on the hop. I'm now signed up twice for the Scoop. My work email that I currently use is going to soon become extinct and I don't want to miss anything when I switch to the new one. That being said, I have really enjoyed today's projects and look forward to trying the techniques at home in the near future. I'm looking forward to tomorrow's hop. 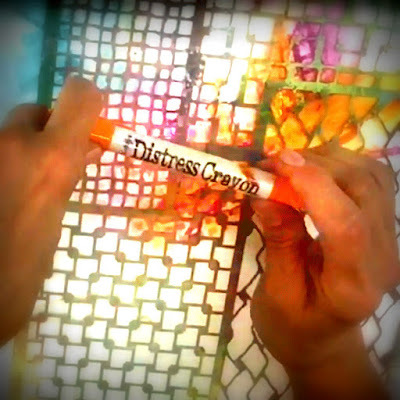 Love your video and Distress Crayons--thanks for sharing all your cool techniques! Enjoying all these beautiful projects! 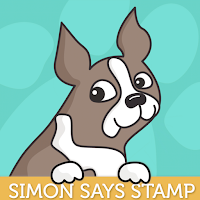 Wow - an exciting blog hop! And lovely creations! Wonderful video, I love any product which can do more than one thing. Just love Mary Beth's videos. Love the distress crayons. Love the way you used with stencils, awesome effect. Thanks for great tutorial! I am impressed by all of the projects that I’ve seen. Can’t wait to get my hands on more supplies to get started! Awesome projects! Thanks for this chance to win!!! A lot of beautiful creations ! Amazing projects with alcohol inks. I totally love them all. Thank you for sharing the tutorials, too.